Investing.com – Australia stocks were lower after the close on Friday, as losses in the Telecoms Services, Energy and IT sectors led shares lower. At the close in Sydney, the S&P/ASX 200 fell 0.13%. The best performers of the session on the S&P/ASX 200 were ANZ Banking Group (AX:ANZ), which rose 2.84% or 0.790 points to trade at 28.640 at the close. Meanwhile, G8 Education Ltd (AX:GEM) added 2.79% or 0.065 points to end at 2.395 and Greencross Ltd (AX:GXL) was up 2.55% or 0.110 points to 4.420 in late trade. The worst performers of the session were Credit Corp Group Ltd (AX:CCP), which fell 7.11% or 1.340 points to trade at 17.500 at the close. 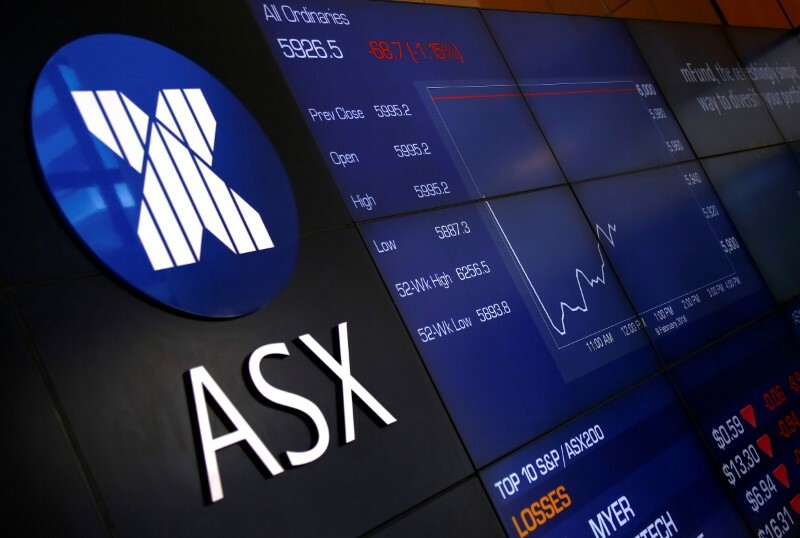 Bellamys Australia Ltd (AX:BAL) declined 6.40% or 1.150 points to end at 16.810 and Beach Energy Ltd (AX:BPT) was down 4.27% or 0.075 points to 1.680. Falling stocks outnumbered advancing ones on the Sydney Stock Exchange by 713 to 541 and 425 ended unchanged. The S&P/ASX 200 VIX, which measures the implied volatility of S&P/ASX 200 options, was up 0.13% to 11.885. Gold Futures for August delivery was up 0.02% or 0.30 to $1270.80 a troy ounce. Elsewhere in commodities trading, Crude oil for delivery in August rose 1.17% or 0.77 to hit $66.31 a barrel, while the August Brent oil contract rose 1.16% or 0.85 to trade at $73.90 a barrel. AUD/USD was up 0.27% to 0.7398, while AUD/JPY rose 0.26% to 81.36. The US Dollar Index Futures was down 0.18% at 94.37.